Refrigerated vans and trucks (reefers) carry high-value and perishable cargo. Managing a fleet of refrigerated vehicles in real time is the most important task for the cold chain to be maintained. To protect the vehicle and its contents, fleet managers must understand each vehicle's current location, delays enroute, diversions if any, its effective utilization hours and its compliance with temperature control objectives. Unfortunately, current methods for managing reefers are often expensive, inefficient, time-consuming and ultimately ineffective. As a result, many organizations do not effectively manage their reefers, leading to operational inefficiencies and lost profits. 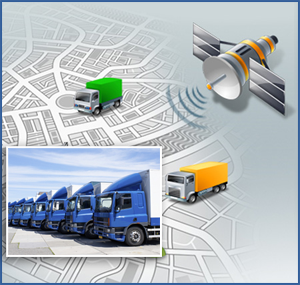 SXnavo is a wireless, GPS-based solution for the refrigerated trailer and truck management. It provides GPS-based fleet management information, and also produces 'electronic strip-charts' to report compliance with temperature control objectives. The system generates real-time Alert Notifications if any problem occurs. The SXnavo refrigerated trailer management solution is web-based and easy to use. A monitoring unit (hardware item) installed inside or outside of the vehicle at suitable place. A web application to deliver asset location, tracking reports, Temperature sensors information, maintenance reports other MIS reports, Geofencing, and other GIS reports, System Alerts, Reminders and Notifications delivered by SMS or via voice call or via e-mail.